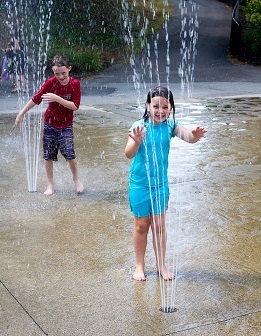 Sean Finnegan (red) and his sister Mary, 9 1/2 year old twins, enjoying the Northborough Splash Pad on a hot summer afternoon. 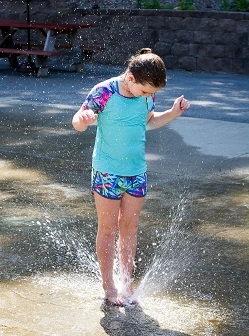 Mary Finnegan, 9 1/2, enjoying the Northborough Splash Pad on a hot summer afternoon. Northborough – On a hot summer day, the Northboro Splash Pad offers a welcome respite.